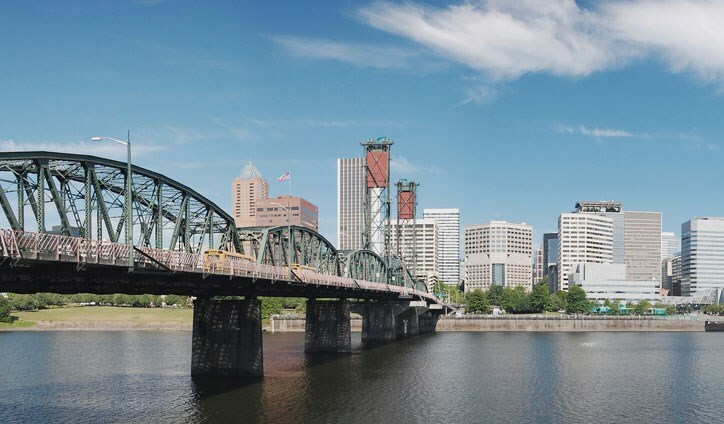 As the largest city in Oregon, Portland is known for its progressive culture, stunning scenery, and thriving economy—making it one of the most desirable places to live within the state! With over 145 square miles within the city borders and nearly 640,000 residents, this is also a sprawling metropolis, and picking the right neighborhood to move to can seem like a daunting task. Unlike other local moving companies, the crew at ITS Global Relocation Services has lived and worked within the Portland region since 1926, and we know all the ins and outs of this beautiful area. Whether you’re dreaming of living in the heart of the city or you’re looking for a quiet, safe community to raise your family, we can help you determine the best place to put down roots and start building a new life in your brand-new home. Northwest Heights: Located in the West Hills of Portland, this urban neighborhood gives residents easy access to everything from fine dining to entertainment. There’s even a beautiful, urban wilderness that’s perfect for nature enthusiasts a short distance away in Forest Park! This neighborhood also has an A+ rating for crime and safety, making it the perfect setting for city-loving families that want to take advantage of the best that the city has to offer. Healy Heights: Want a small-town community in the midst of the urban sprawl of Portland? Then Healy Heights might be your ideal location! With a population of less than 2,000 residents, this area consists of a tightknit community within the Southwest region of the city. Strong public school ratings and family-friendly events, such as the annual potluck dinner at Healy Heights Park, make this neighborhood one of the highest-ranking areas for families. Arnold Creek: Arnold Creek may have a population close to 10,000, but the exceptionally low crime rates and strong housing market, schools, and diversity make it an ideal urban environment to call home. Located just north of Lake Oswego, this neighborhood also is known for its beautiful natural surroundings and ample outdoor entertainment opportunities! Southwest Hills: The neighborhood of Southwest Hills is located on the edge of the Portland city limits in the Tualatin Mountains. Known for being quiet, beautiful, and family-friendly, this area has continued to see growth over the years and now boasts over 13,000 residents. Within the boundaries of Southwest Hills there are also several parks that local nature lovers can take advantage of to escape the busy city lifestyle. Arlington Heights: Arlington Heights may come in last in our top-five list of Portland neighborhoods, but there is nothing lacking in this thriving community! Home to incredible parks, such as the renowned Japanese Garden, and some of the most beautiful houses within the city, this community also boasts high ratings for public schools, crime and safety, as well as a family-friendly environment. From exciting downtown neighborhoods to natural, suburban escapes, there’s no question that Portland has a lot to offer. Now you just need to find the right team of Portland movers to handle all the details of getting you safely to your new location! At ITS Global Relocation Services, our affordable, professional moving solutions are designed to simplify each stage of your relocation process, and we’d love to talk to you about your upcoming move. Just give our local movers a call today or fill out our online form, and we’ll get you started with a free estimate and consultation!